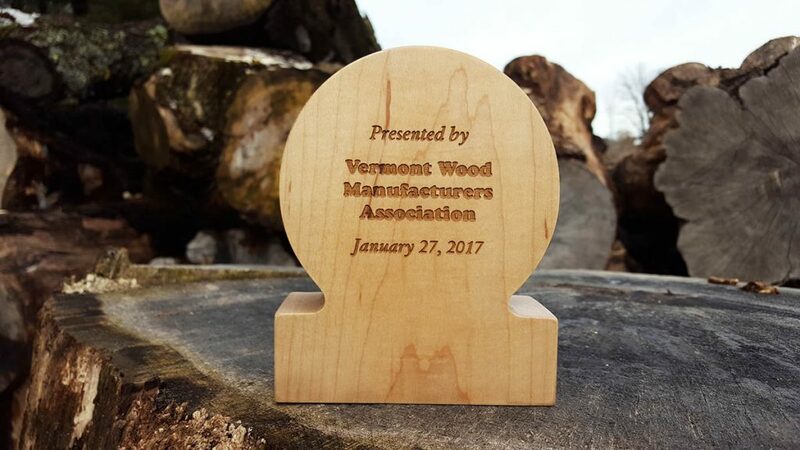 John Monks, owner and founder of Vermont Tree Goods, was honored by the Vermont Woodworking Manufacturers Association (VWMA) at their recent annual meeting. 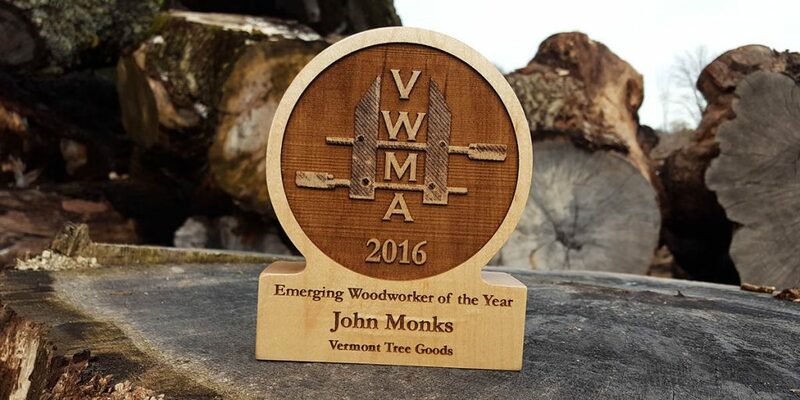 The VWMA created a special new award this year, the 2016 Emerging Woodworker of the Year. This title is given to a business that has been in the industry for under 5 years and is doing something innovative or interesting in our wood manufacturing sector. John’s vision to salvage unwanted heirloom Vermont-grown trees and create beautiful furniture is both innovative and of interest within the sector. Click here to read the entire press release. 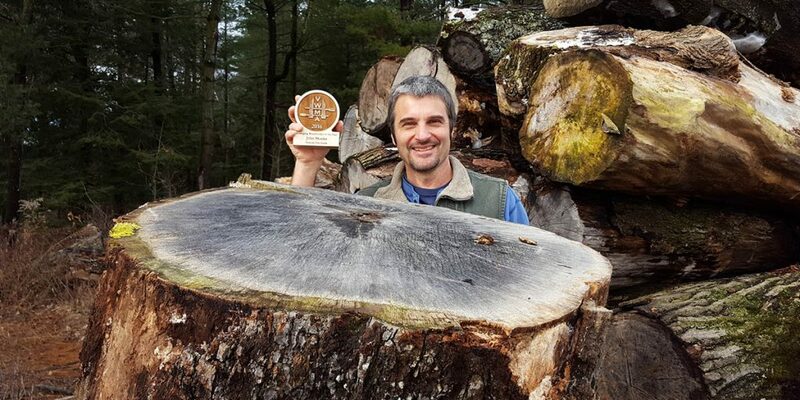 Congratulations John for all your hard work creating and growing Vermont Tree Goods!